Today is World Embroidery Day! World Embroidery Day started on July 30th, 2011. A local group belonging to Broderiakademin, Sweden's Embroidery Guild, decided to plan and create a day, where we celebrate embroidery, and they decided that it should be July 30th of every year. If you want to read more about it, you can do so here. I celebrate the day by working on A Very Merry Christmas Town. It is a stitch-a-long by The Frosted Pumpkin Stitchery and it consists of four clues. It can be bought either as a kit or just the pattern. 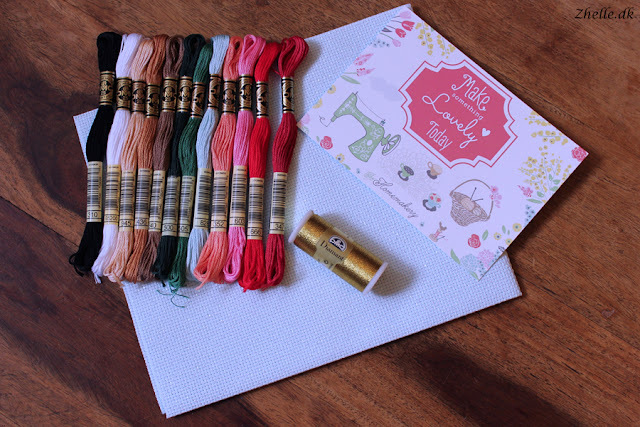 I bought the kit from the Homemakery and it was arrived in cute, stripy paper bags and I got a really pretty postcard as well. The fabric is blue and sparkly (it doesn't show up well on the picture) and it is so pretty. I have never bought sparkly fabric before, but it will not be the last time I do! The first clue came out on my birthday last week, and I have finally started stitching it. First I prepared the fabric with whipstitch along the edge to keep it from fraying, and then it was stitching time. I love stitching AVMCT. The sparkly fabric alone is a dream to stitch! It's so pretty and sparkly! I cannot wait to try the DMC Diamond thread. I actually bought some a couple of years ago, but I never got around to use it. So looking forward to finally trying it out! This is how far I was yesterday. I think it is Santa with his beard I am stitching, and the red on the blue background and the white beard and window looks absolutely stunning. It is such a joy to stitch! 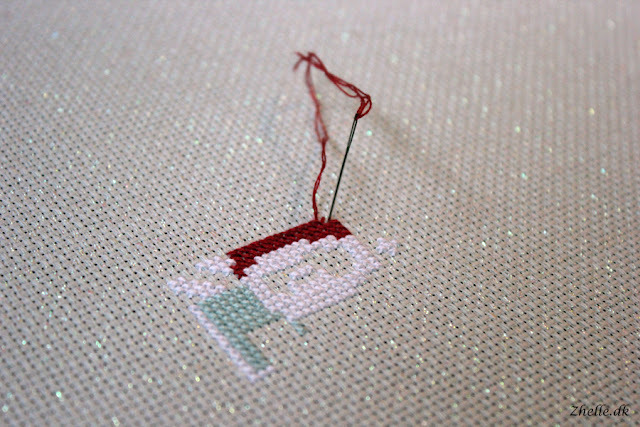 If you don't know what you should stitch this autumn, I would definitely recommend starting this stitch-a-long. I for one absolutely love it, and there are so many on instagram that are stitching it as well! Join us!